The yellow marshmallow looked up at the sky. A purple raindrop hit her eye. “I feel like a pie”. “A pie”?, came a voice. The yellow marshmallow looked around. It saw a purple cow. “Was it you?”, asked the marshmallow. “Sorry. No”, said the cow. “Then who spoke the pie”? “Not I”, came a voice. “Moo said that?”, said yep, the purple cow. “Not I”, said the marshmallow. There was a whoosh in the sky. It was a rainbow. A double rainbow. A rainbow that ended at their feet. 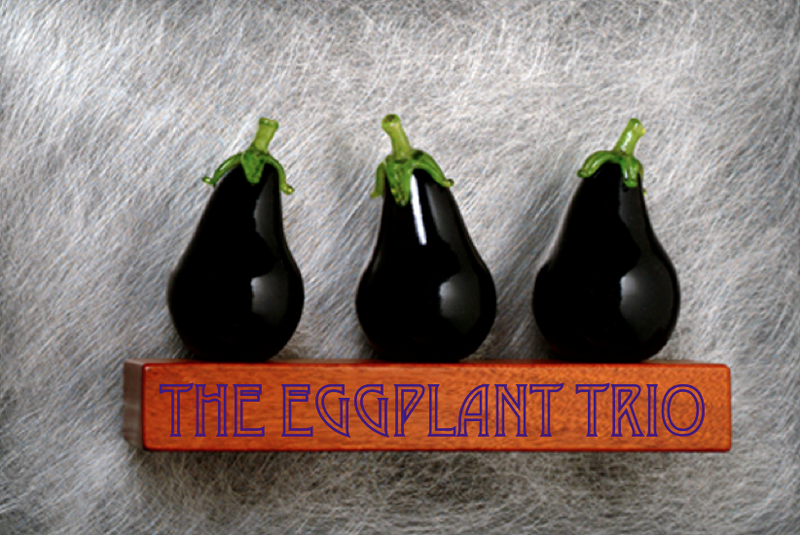 Three Eggplants at the end of the rainbow. Thanks 🙂 You know them?